You may have heard the Bible contains wisdom and practical help for living in today’s world, but wondered, “Where do I find it?” Well, wonder no more. Find Prayer—an addition to the NIV VerseLight Bibles series—comes with select verses of Scripture highlighted in blue so that you can easily find the words you need to hear when you need to hear them. 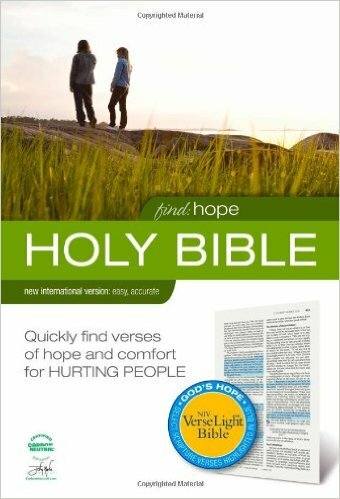 Find Prayer is a full-text Bible with passages that describe the comfort God offers to hurting people highlighted in blue to make them easy to find. 1,044 pages.